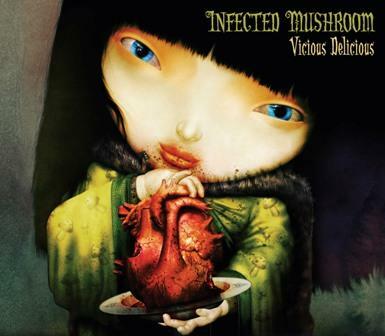 Vicious Delicious has a somewhat different sound than that of other Infected Mushroom albums. The track "Artillery" epitomizes this change in sound, being the only hip-hop track on the album. The rest of the album contains music that can be described as an electronic hybrid of trance, psychedelic, and rock.